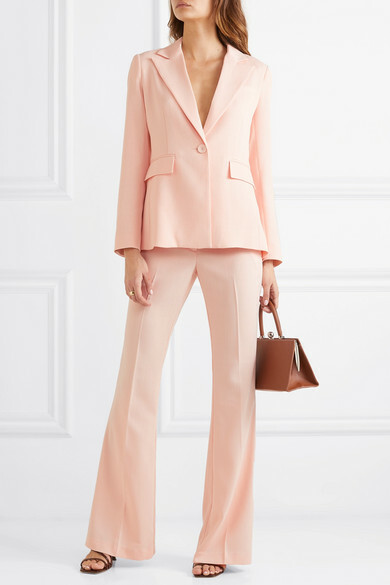 Rachel Zoe's Spring '19 collection references chic Parisian styles - Le Smoking-inspired suits are the main focus, which the designer has reimagined in an array of pastel shades. 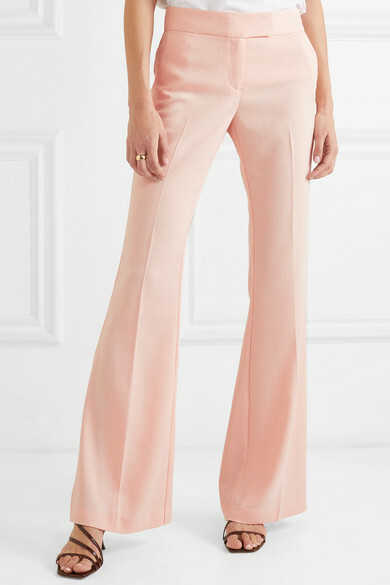 Made from 'Rosebud' piqué, these 'Lourdes' pants are seamed through the front to give the illusion of endlessly long legs and fall to a flared hem. 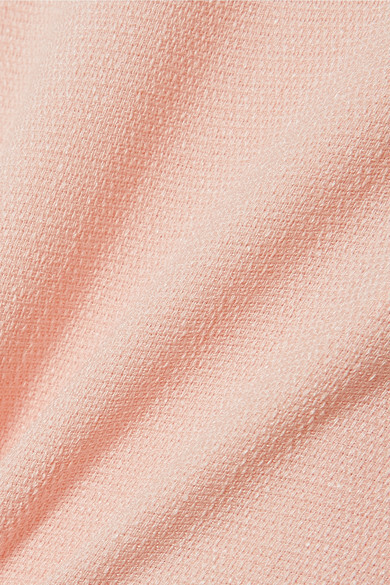 Channel the runway styling by wearing yours with the matching blazer. Shown here with: Ratio et Motus Tote, STAUD Sandals, Laura Lombardi Ring.